These bedroom furnishings provide the style and comfort your family deserves. Select individual pieces or a complete bedroom set. Bedroom Designs Bedford Collection - Upgrade in style and never look back with this modern, low profile headboard and platform bed. Platform beds are designed to give your room an open concept feel and are perfect for those who don't like high seated beds. 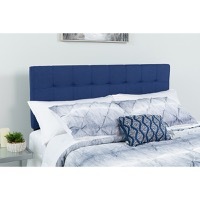 One advantage is the soft panel headboard as well as the cushion like base. Bedroom Designs Brighton Collection - Upgrade in style and never look back with this modern, low profile headboard and platform bed. Platform beds are designed to give your room an open concept feel and are perfect for those who don't like high seated beds. 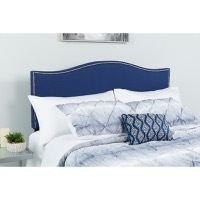 One advantage is the soft panel headboard as well as the cushion like base. Bedroom Designs Cambridge Collection - A headboard can give your room style and complement the size of the room. 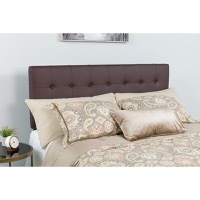 This gorgeous headboard features button tufting and a diamond stitch pattern design. The slim panel will make your room feel more spacious. The convenience of a headboard will provide you with floor space and makes it easy to make up the bed. Bedroom Designs Capri Collection - Get a good night's rest atop this body conforming, medium firm mattress. The interior make-up has pocket spring coils, high density foam, convoluted foam and fire-retardant foam. Pocket spring coils are individually wrapped springs that act independently, providing superior motion isolation and support to the contours of your body. The handles will help you move the mattress around easily. Bedroom Designs Lenox Collection - A headboard can give your room style and complement the size of the room. The slim panel will make your room feel more spacious. The convenience of a headboard will provide you with floor space and makes it easy to make up the bed. Headboard features button tufting and box stitching. 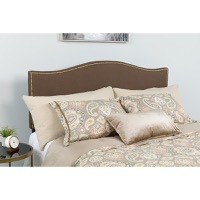 Bedroom Designs Lexington Collection - Add some style to your bedroom with this attractive headboard. A headboard can give your room style and complement the size of the room. This sleek headboard features decorative nail trimming with an arched top. The slim panel will make your room feel more spacious. The convenience of a headboard will provide you with floor space and makes it easy to make up the bed. Whether you're updating or starting new, this headboard will get your bedroom looking fresh! Bedroom Designs Riverdale Collection - Get the complete package with this modern, low profile platform bed and mattress in a box set! Platform beds are designed to give your room an open concept feel and are perfect for those who don't like high seated beds. The tufted headboard adds an extra element of style. The mattress sits atop 45 wooden support slats. The 12" pocket spring mattress provides superior motion isolation and supports the contours of your body. Bedroom Designs Roxbury Collection - Get the complete package with this modern, low profile platform bed and mattress in a box set! Platform beds are designed to give your room an open concept feel and are perfect for those who don't like high seated beds. One advantage is the soft panel headboard as well as the cushion like base. The headboard features gorgeous nail trimming and button tufted upholstery. The mattress sits atop 15 wooden support slats. The 12" pocket spring mattress provides superior motion isolation and supports the contours of your body. Bedroom Designs Tribeca Collection - Get the complete package with this modern, low profile platform bed and mattress in a box set! Platform beds are designed to give your room an open concept feel and are perfect for those who don't like high seated beds. 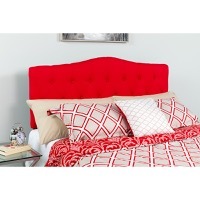 One advantage is the soft panel headboard as well as the cushion like base. The headboard features gorgeous nail trimming and button tufted upholstery. The mattress sits atop 15 wooden support slats. The 12" pocket spring mattress provides superior motion isolation and supports the contours of your body. Bedroom Designs Woodstock Collection - This classic metal frame will provide an open and airy look to your bedroom. The frame features vertical slats and rounded posts. The convenience of a headboard only will provide you with floor space and makes it easy to make up the bed. Whether you're updating or starting new, this headboard will get your bedroom looking fresh! VQV Furniture Group offers quality contemporary bedroom furniture for sale in our store.